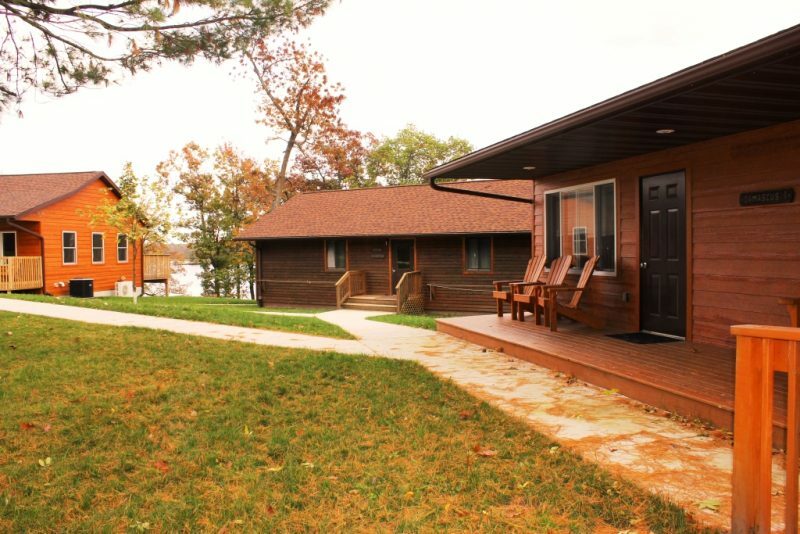 Located on the south end of camp, our modern cabins combine camp and comfort in a beautiful way. 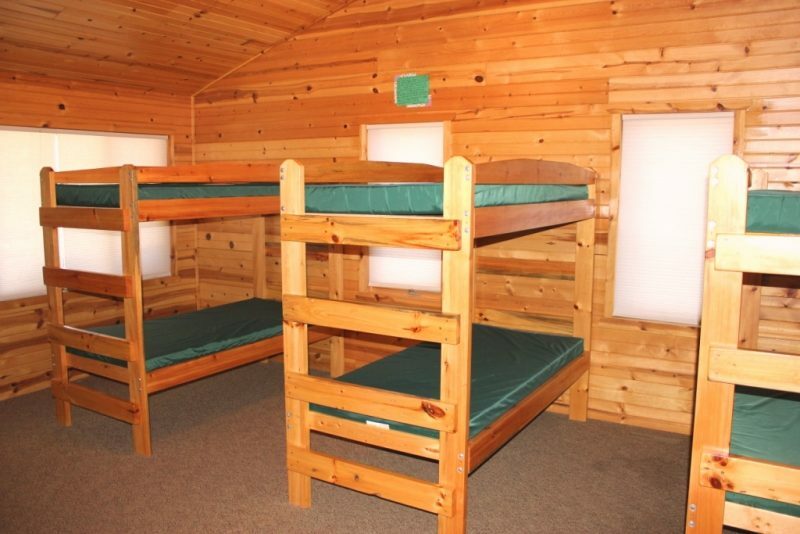 Outfitted with bunkbeds, these cabins can sleep 4-10. 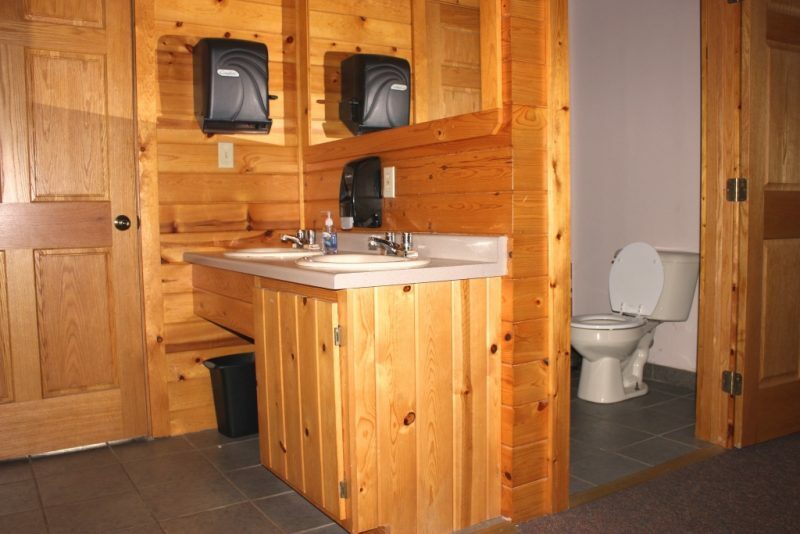 Each unit has its own bathroom, vanity, and shower area as well. 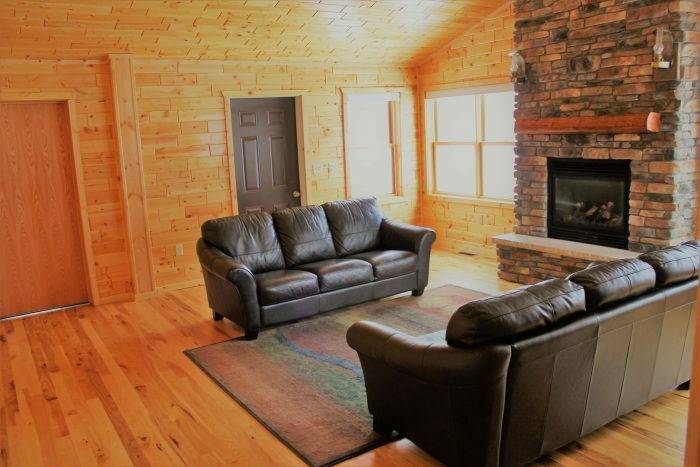 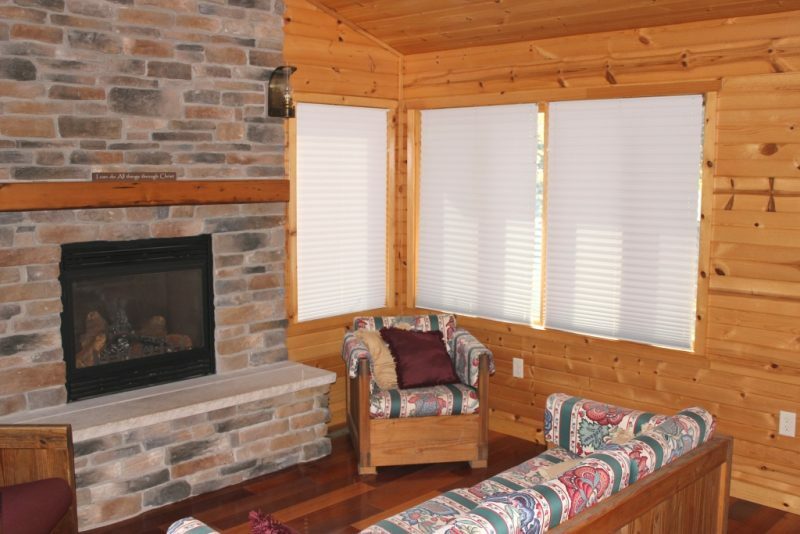 A few of the cabins also have porches and shared common rooms (complete with a fireplace and couches). 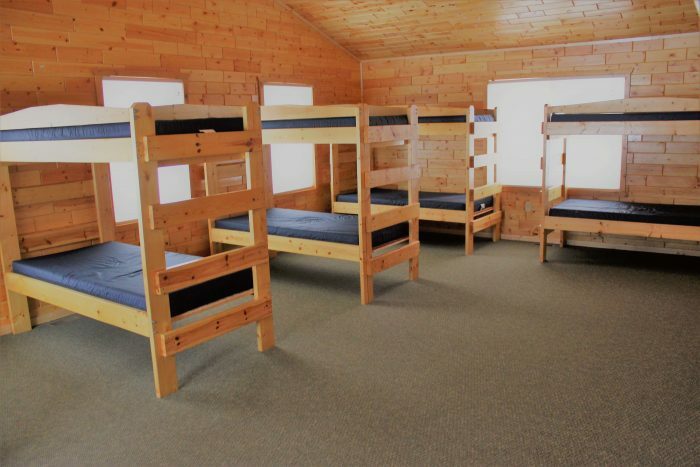 Modern cabins include Lydda, Emmaus, Joppa, Antioch, Damascus, and the Bays. 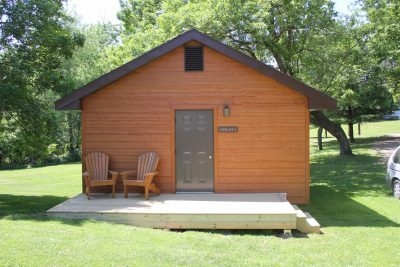 Located primarily on the north end of camp, our standard cabins are perfect for those who want a more rustic camp experience. 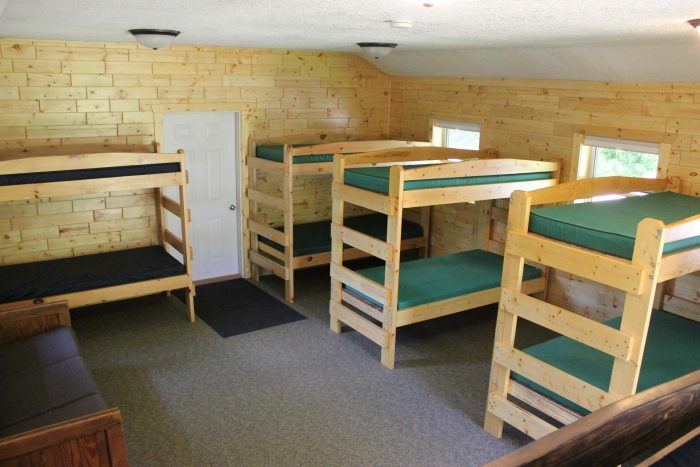 These units are outfitted with bunkbeds and can sleep 8-12, depending on the age of campers. 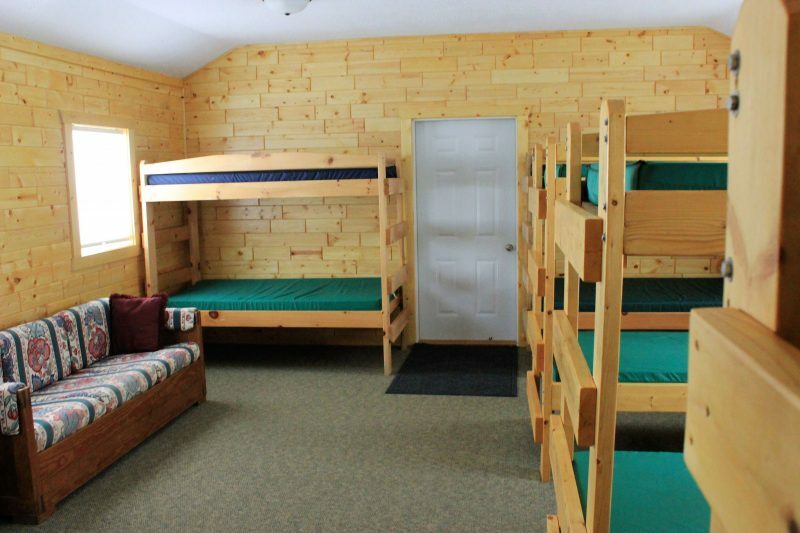 A centrally located shower-house is available for campers who stay in these cabins. 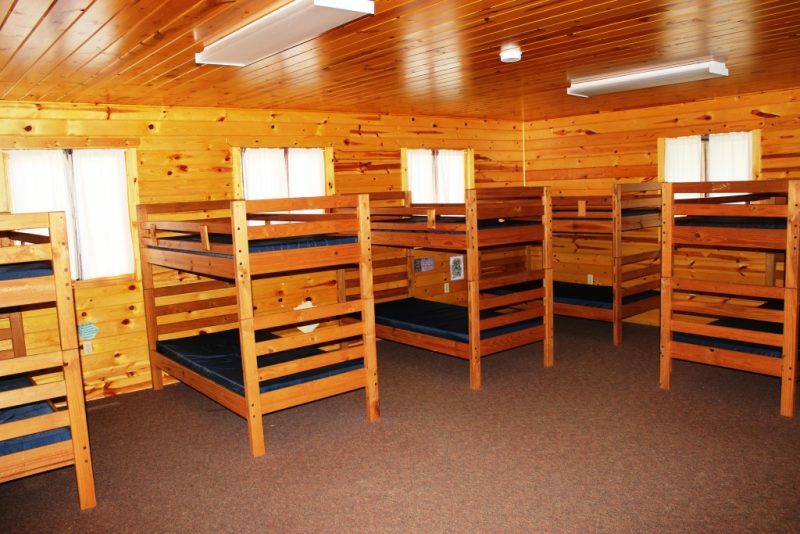 Standard cabins include Jericho, Capernaum, Bethel, Ephesus, and Philippi. 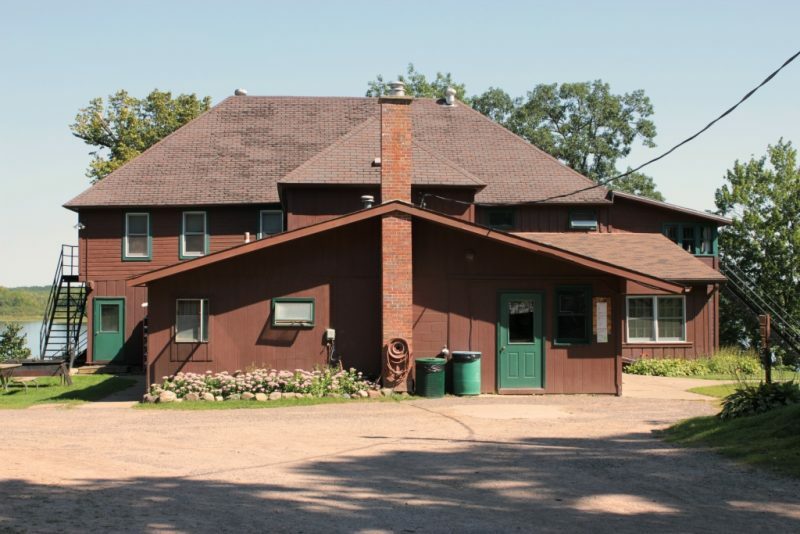 The Lodge is located in the center of camp and is where many of our facilities are located. 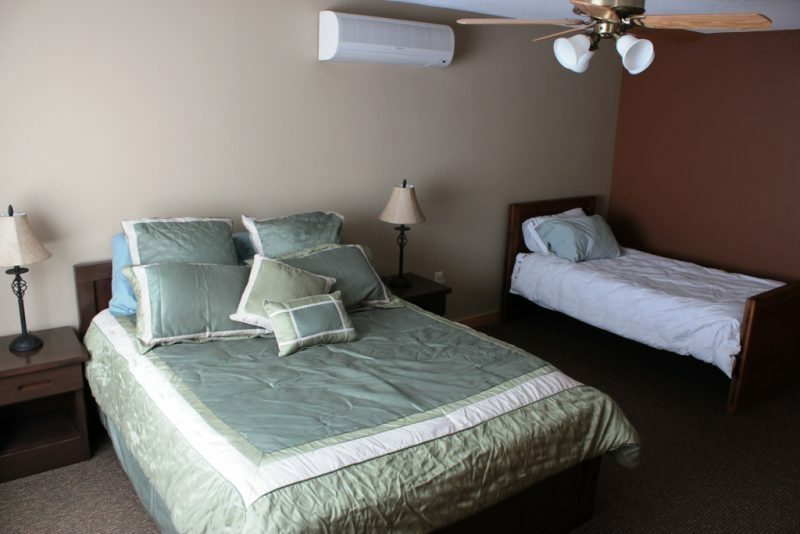 The upstairs has two meeting rooms (furnished with couches) and several bedrooms. 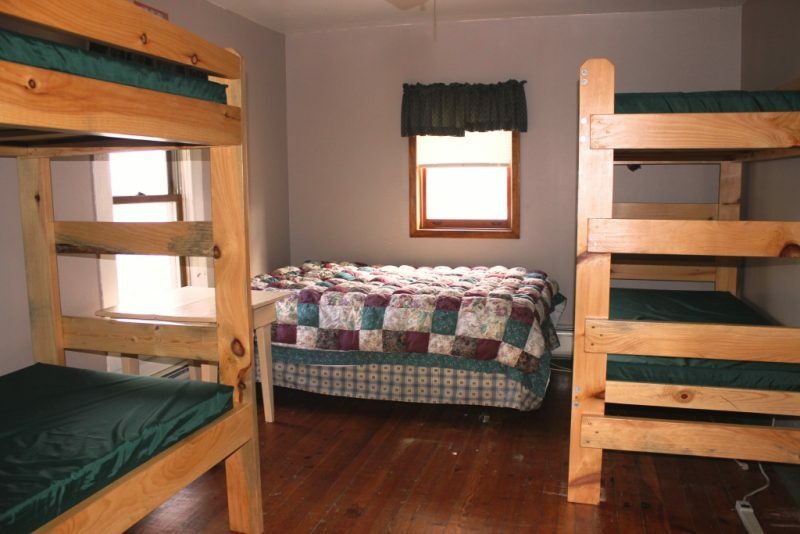 These bedrooms vary in size, but all of them are outfitted with at least one bed. 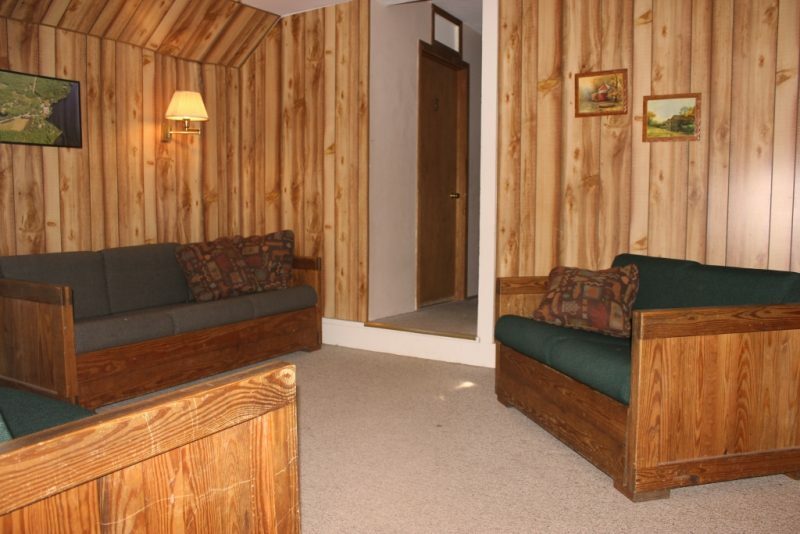 There are two semi-private bathrooms available for those staying upstairs. 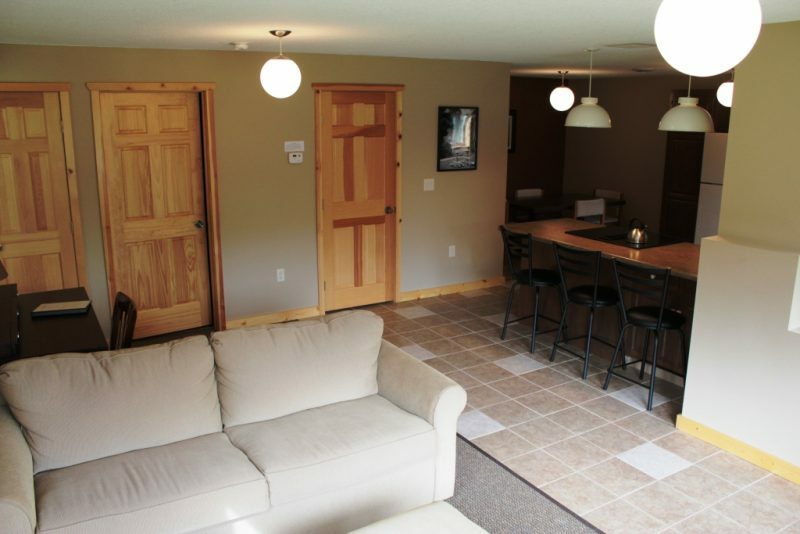 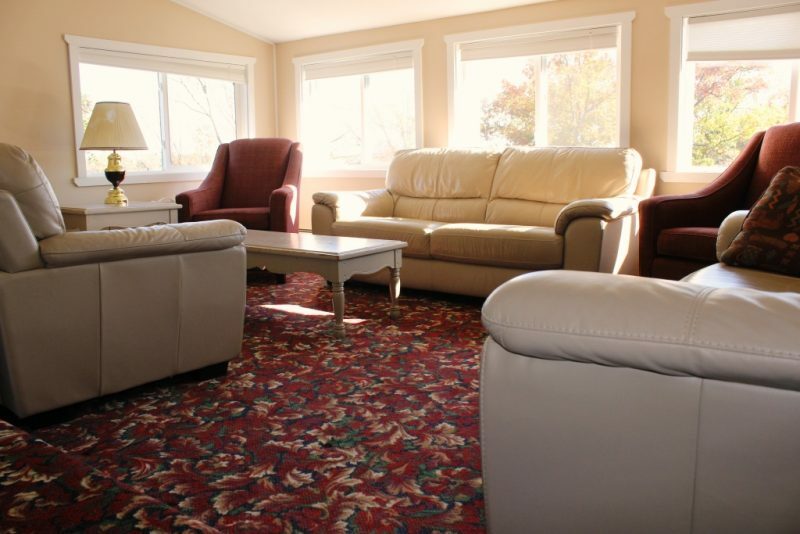 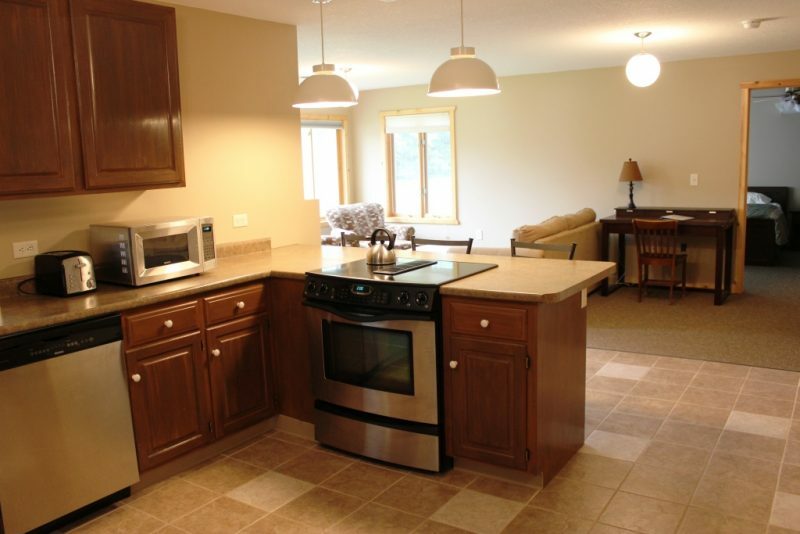 The Cottage is a lovely apartment with a lakefront view. 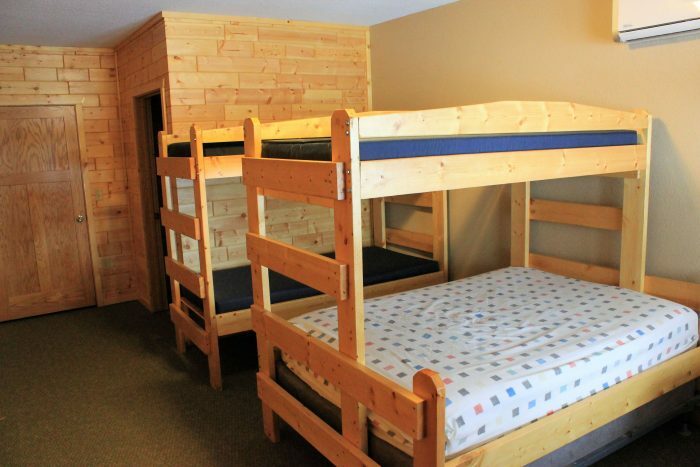 It has a fully-equipped kitchen and bathroom, and with a queen size bed, bunk bed, and pull-out sofa, this unit can comfortably sleep a family of 6. 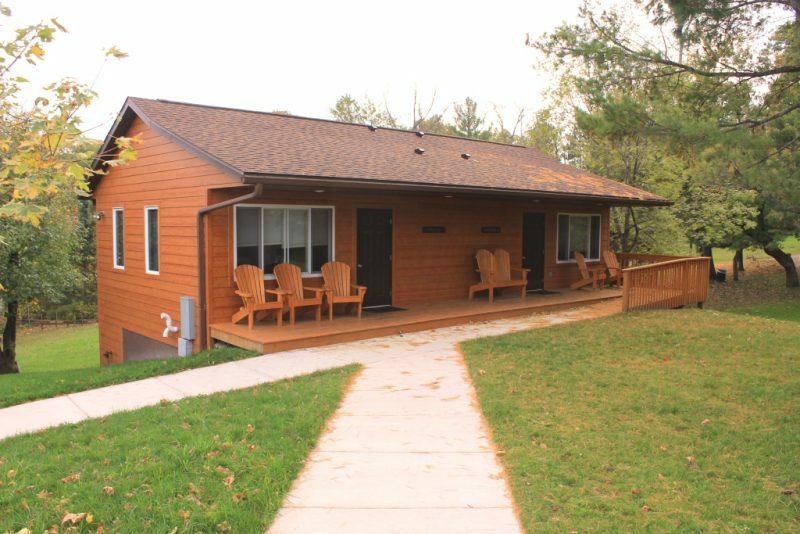 Arrowhead offers the use of the Cottage – free of charge – to those in full-time ministry who are looking for a quiet place to getaway. 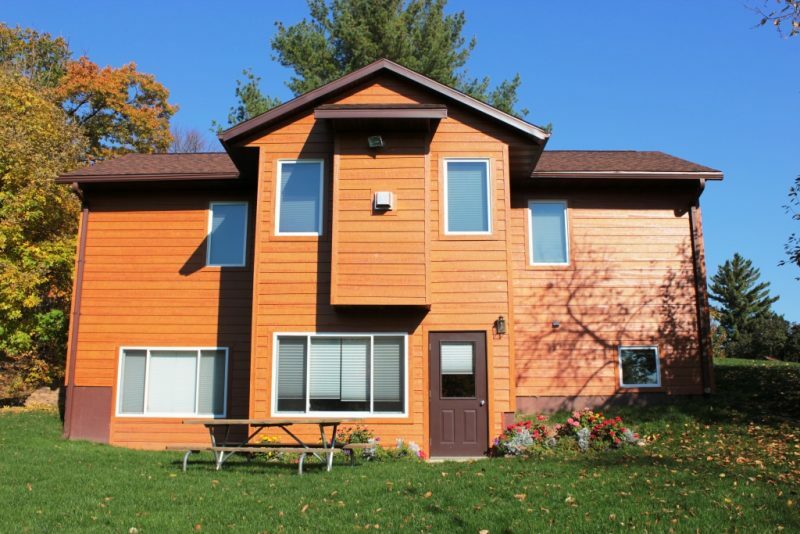 If you or someone you know needs a retreat, let us know…we’d love to serve you.